South Korean companies operating in innovative and high-technology sectors work with more coordination than we think. Seoul government often defines long term development plans involving big companies - names such as Samsung and LG - to drive their research and development activities in specific directions. All this to consolidate, or obtain, a leading position in those markets Seoul considers the most promising. In the medium-long term this for South Korea means new jobs, more export and a bigger share of global economy. Now it's happening something similar also in 3D printing: South Korean government announced it's drawing a 10-year plan to turn 3D printing into a growth engine for the whole country. This plan will be detailed in the next October - after the Ministry of Science, ICT and Future Planning and the Ministry of Trade, Industry and Energy will have gathered opinions and advice - and will drive local 3D printing market's evolution. A key element of the plan will be how to coordinate all R&D activities which are now scattered among different univerisites and institutions. Seoul wants also 10 million South Koreans to use 3D printers by 2020, installing the devices at more than 200 libraries and 5.800 schools. Seoul's plans shouldn't be understimated because they are much more effective than other countries' similar initiatives. They have already been adopted in other high technology sectors - such as LCD panels, processors and solid state memory - where South Korean companies now have a leading (where not the leading) role. Today there aren't many South Korean companies developing their own technologies for 3D printing and that's exactly what the new 10-year plan wants to change. 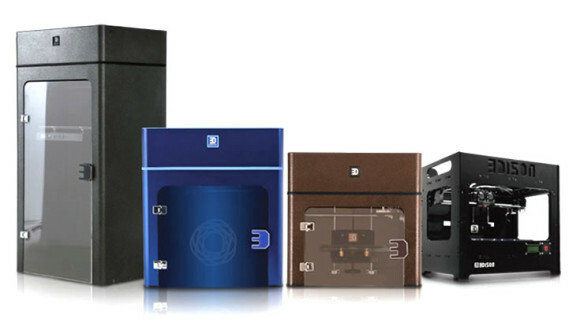 Maybe the only South Korean company well known also abroad is Rokit for its 3DISON FDM 3D printers line. The top-of-the-line model has a printing volume of 29 x 20 x 70 centimeters, an integrated laser engraver and a dual extruder for plastic filaments and metal pastes.